Poppins Active Learning School utilises a British curriculum based on the British Early Learning Years Foundation Stage (EYFS) and Poppins original educational approach. 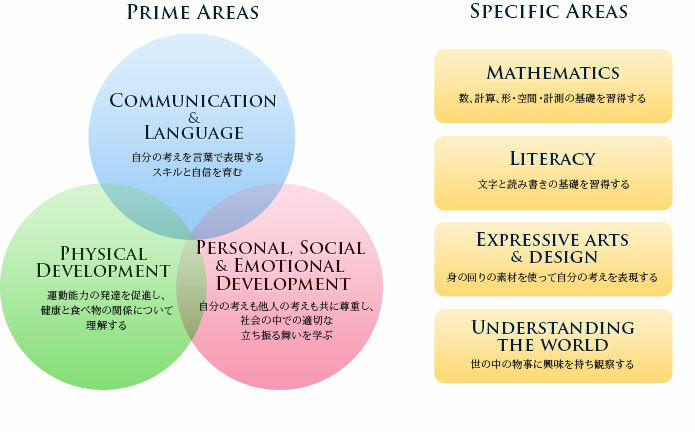 Adapting Japanese Standards to incorporate child brain science and social development, creating individual educare. Our active learning programmes (Physical Development, Lifesaving, Language, Maths, Science, Art, and Music) are aligned to the EYFS and taught by specialists in each field. In addition, we also have daily Self-Discovery Time that includes off-campus activities and projects. We offer a good balance of programmes every week and also guide children to explore outside every day. In our programmes, children learn proactively through play.